Piggy Paint is a natural, eco-friendly nail polish designed for fabulous girls! Easter is coming up on March 27 this year and my oldest daughter’s tastes have gone from little kid to BIG kid. Brooke loves to dress-up and likes all things that have to do with dressing up. It’s perfect because I always try to put things in her Easter basket that are alternatives than just CANDY, CANDY, CANDY, and this year Piggy Paint has some wonderful options from their non-toxic nail polish to their brand new line of natural hair care products. If you are looking for candy alternatives for Easter baskets this year, look no further than Piggy Paint and their new line of finger nail polish and hair care designed specifically for kids! Piggy Paint Polishes come in a variety of colors, Gifts Sets, Removers, and Accessories! The founder of Piggy Paint, Melanie Hurley, is a stay at home mom to two little girls who like to be ‘fancy’ and was worried about the harsh chemical fingernail polish on the market. The water-based Piggy Paints were born and they are free of formaldehyde, toluene, phthalates, biphenyl A, ethyl acetate and acetone. Her concern was how vibrant would the colors be with only natural ingredients and I am happy to report that all of the colors I tested on my daughters toes and nails look just as nice as any polish on the market. In fact, just knowing they are non-toxic made me love the colors even more. Want some other fun sets for the season? Try the Candy Corn color gift set or Spirit Fingers! You can purchase single color paints online here (check out Dragon Tears!) or locally at Terra Toys. Rock The Locks products include natural and organic ingredients for hair care. The products do not include any harmful chemicals or harsh products. This is an all-spray, non-aerosol line of natural hair products for kids. Contains no sulfates or parabens! Rock the Locks products come in fruity scents and are infused with organic ingredients. Their products include shampoo, conditioner, curl boost spray, anti frizz spray, felx gel spray, a shampoo and conditioner spray, and our personal favorite, detangling spray! 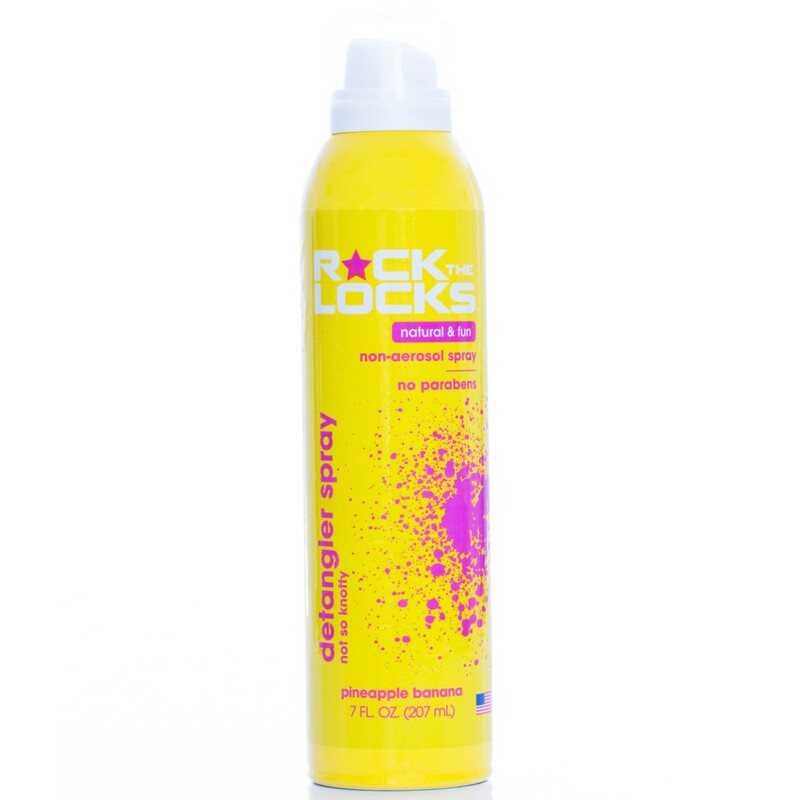 Rock the Locks detangling spray is a leave in detangler that helps manage knotty and tangled hair while conditioning and giving hair a natural beautiful shine. It smells fantastic and has a sweet pineapple and banana scent that is scrumptious. The spray makes application quick, convenient, and fun while allowing for one-handed use. This is very important in the morning as we are usually in a rush to get ready and get both girls off to school. We are impressed by the effectiveness of this product and that it is Ozone Friendly, contain essential oils, and is safe for all ages. Yes! Things that ROCK about Rock the Locks! Directions: Use on wet or dry hair. Spray leave in detangler to the ends and dry areas of the hair. Then comb or brush through hair. Do not rinse off. I am so excited for Easter and I know that Brooke will be delighted to find some Piggy Paint polish and Rock the Locks items in her basket. I’m including the links to both Piggy Paint and their latest addition to the company, Rock the Locks, below. Happy Valentine’s Day to you and your little ones! 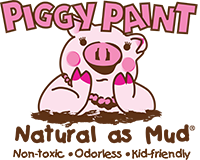 About Piggy Paints: Founder and mom of two young girls who like to paint their nails, Melanie Hurley, did not like the stinky chemical options of nail polishes on the market and decided to create her own! 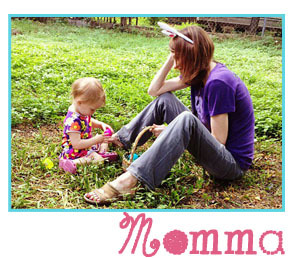 Melanie, who just had her third little one, is quite the busy mom, creator and marketer. Check out her Celebrity Sighting feature on Piggy Paint on her site here.